Dr. V. Ramachandra Raju have graduated from Mysore University in Mechanical Engineering with first class and distinction. He took his M.Tech. degree from N.I.T. Suratkal with specialization in Heat Power Engineering. He did his Ph.D. from I.I.T. Madras. He has teaching experience of more than 31 years. He guided 12 candidates for their Ph.D. so far and 8 more students are pursuing their Ph.D. under his guidance. He worked previously as Principal, University College of Engineering JNTUK. He is also the founder Principal in the establishment of JNTU College of Engineering Vizianagaram. 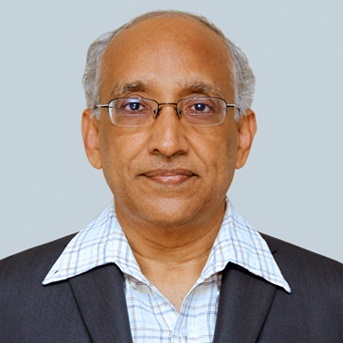 He has administered several positions as Director, Center of Excellence for e-Resource Development & Deployment at JNTUK, Professor Coordinator, R&D Cell at JNTU Hyderabad, Head, Mechanical Engineering Department and Chairman, Board of Studies for Mechanical Engineering, JNTUK etc. He has published more than 85 papers in various national and International journals and conferences. He is a life member in COMBUSTION INSTITUTE (I) and Indian Society for Technical Education (ISTE). He is also a working member of Executive Council, JNTUK, Kakinada and Committee of AICTE Southern Region, Hyderabad.